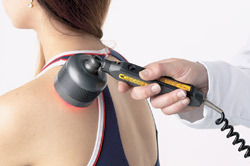 Laser therapy is used to aid in your healing. Using our unique TAM(TM) Therapy system, we can treat muscle, tendon, joint and bone injuries faster than anyone else! 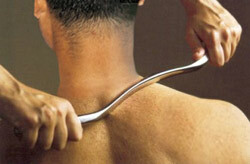 TAM(TM) Therapy stands for Technology Assisted Musculo-skeletal Therapy. Using our “secret sauce recipe” combining Laser, Fascial Release, Ultrasound, and Shock Wave technologies, we are able to treat a wide variety of conditions.